Barnet Council workers on 48 hour strike over outsourcing threat. Barnet UNISON members who still work for Barnet Council (excluding community schools) will begin 48 hour strike starting on 1 June 2015. 8 ways you can support Barnet Council workers taking strike action. 10:30 am UNISON members leave picket lines & travel to North London Business Park. March starts 12 noon from NLBP to St John’s Church Hall Friern Barnet Lane, N20 for our rally. How will George Osborne cut £12bn from the welfare bill? We’ll find out next month but it’s looking increasingly likely that plans to remove housing benefit from 18- to 21-year-olds who are unemployed and claiming Jobseeker’s Allowance will be form part of it. This could be disastrous for the most vulnerable young people in our country. From more than four decades of experience supporting homeless young people, we know that the vast majority of young people who claim housing benefit do so as a lifeline at a time of crisis, not as a lifestyle choice. Among these young people are care leavers who have no home to return to and individuals who have fled domestic violence. Then there are those who have left home to find work and claim housing benefit to bridge the gap between their wages and ever-increasing rents. A blanket removal of housing benefit from 18- to 21-year olds would affect nearly 20,000 young people. It also runs the risk of not only increasing homelessness but also could fail to deliver the promised savings to the taxpayer. Even if exemptions for the most vulnerable, such as care leavers and those with children were to be put in place, the reductions in savings and the added costs of supporting those not exempted who become homeless would lead to a saving of just £3m. The evidence is clear: there is little guarantee that the savings can be delivered, but plenty of evidence that youth homelessness could rise. If this government is serious about reducing the benefits bill while supporting young people into work they must move beyond certain groups of claimants and tackle the root causes of the spiralling benefits bill – rising rents and the chronic problem of housing supply. The result of dwindling housing supply has seen rents in the private sector rocket. The taxpayers’ money is bypassing claimant’s bank accounts and falling directly into the lap of profiteering landlords. If the government wishes to reduce spending on housing benefit, the answer is not to focus on young people with nowhere else to go but to increase the supply of truly affordable homes. At the end of May the prime minister will have the opportunity to set out his view of what our country should be. We hope that now the election is over he will choose facts above rhetoric, and put tackling the root causes of the housing benefit bill above short-term political gain. Cutting housing benefit for 18- to 21-year-olds will leave thousands of young people without a safety net, and that’s a price no government should be prepared to pay, however big the deficit. The Budget everyone in local government feared is due on Wednesday 8 July. Barnet UNISON proudly presents Russell Brand’s powerful takedown of the injustices of austerity. 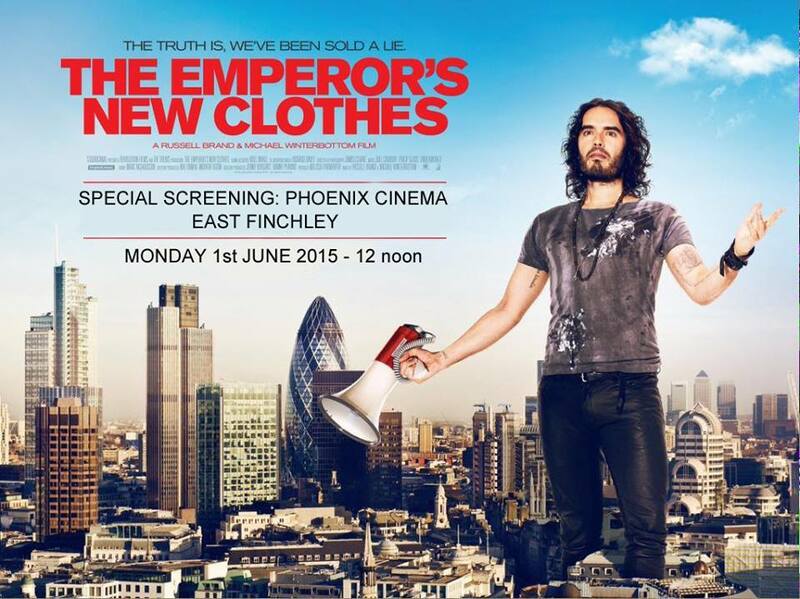 12pm, June 1st at at our wonderful local Phoenix Cinema, register via Eventbrite. Admittance is FREE, with a bucket collection at the end of the film. 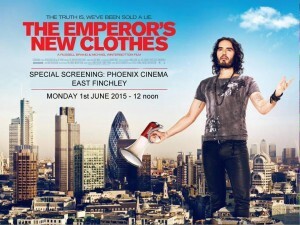 The film will be followed with a Q & A, details of speakers will be announced shortly. Barnet UNISON members working for Barnet Council will be on 48 hour strike on 1& 2 June and need your support to keep fighting for public services. Tenants and housing campaigners are meeting on 13 June in London to spell out how we will win our demands after the election. With Focus E15, New Era, Sweets Way, Fred Wigg, Aylesbury and Cressingham and the March for Homes inspiring growing resistance, the 13 June event will bring together tenants and campaigners to work out our next steps, demanding and winning change, targetting whoever forms the next Government. The ‘summit’ event, called by Defend Council Housing, is already supported by Housing Justice the churches housing campaign,and Generation Rent, organising private renters. Others taking part include Welsh Tenants, Disabled People Against Cuts, trade unions, estates fighting demolition and privatisation, Anti Bedroom Tax and benefits campaigns and the Radical Housing Network; others also invited. The Tenants and Housing summit event is on 13 June 11-4.30pm at Bloomsbury Baptist Church Hall in central London. Sessions on What Next for March for Homes, the Tenants Manifesto, Anti Benefit Cuts campaigns, trade unions and housing, Private renters and rent control, and the Fight for Council Housing – against demolition, sell off and privatisation. Get your tenant group, trade union or community organisation to come along. For more details and leaflets contact info@defendcouncilhousing.org.uk. Cambridge’s Housing Crisis meeting Tue 28 April with speakers from Generation Rent, Defend COuncil Housing, and Kevin Price Exec Councillor for Housing 28th April, at 7.30, at Ross St Community Centre Cambridge. Hammersmith Council in west London, is considering privatisation of all 12.500 council homes. A DCH leaflet sets out why this is a threat to tenants – copies and details from info@defendcouncilhousing.org.uk for leaflets. Re/affiliate to DCH 2015 – form here and more here. What next after the election? The Library Debate: In the library that was rescued from closure and is now run by the community, join us for a lively panel discussion on the role of libraries. 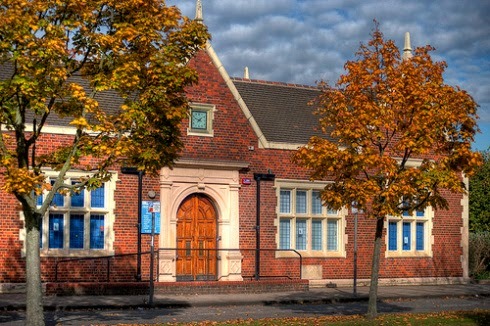 Libraries are under threat locally and across the UK. We discuss just what libraries are for and who they are for? Can we mange without them? We hear a lot about what councils want for libraries, but what do users want from libraries? No charge but donations to help fund the library appreciated.